← Believing in Best Practices isn’t like believing Santa Claus. Governance Structure and Empowerment of Teams – Who is empowered to make a decision? 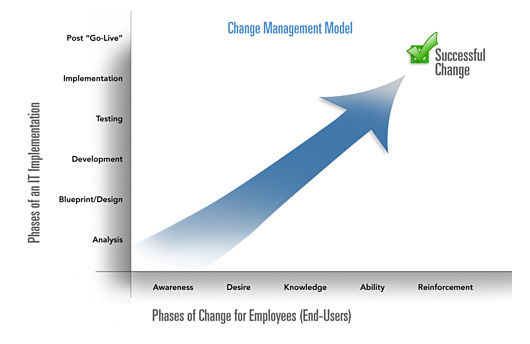 Change Control Process – What change is required, why is it required and is it approved? Change Control Form and Tracking tool – What should be included on the form, as well as the process for completion and a tool for tracking the request and issue that originated the request. Timeline for the approval – Must define by priority – is it critical, high, medium or low? Priority will define the timeline. Impact of the change – Scope, Budget, Timeline. Associate Partner, AspireHR, A leader with 17 years of Human Capital Management business experience spanning practice management, project management and SAP implementations. Areas of expertise include global HR strategy and delivery, business process design, requirements definition, project management, change management and Shared Services design. 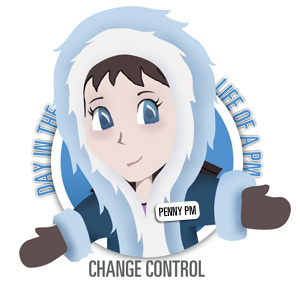 This entry was posted in Day in the Life of a PM and tagged change control process, change management. Bookmark the permalink.